A picture is worth a thousand words, so make sure you frame those photo memories in an elegant and beautiful way. Spring is on our heels and there will be plenty of weddings to attend as well as parties to drop in on. 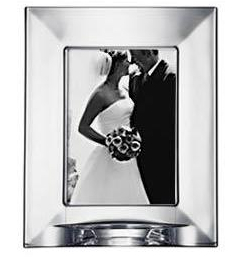 Why not thank your host with a beautiful glass crystal frame? They make great gifts for the home. Crystal is such a versatile material that it can complement any style home, which makes it the perfect gift for Spring newlyweds too. This Orrefors’ Family & Friends frame is a simple and classic. It also lends depth and sparkle to the photos in the frames. Terrific gifts for any occasion. Ideal for mixing and matching, the Focus photo frame will complement any of the other frames in the Orrefors collection. A great gift for every occasion. The Orrefors collection is available at Didriks.